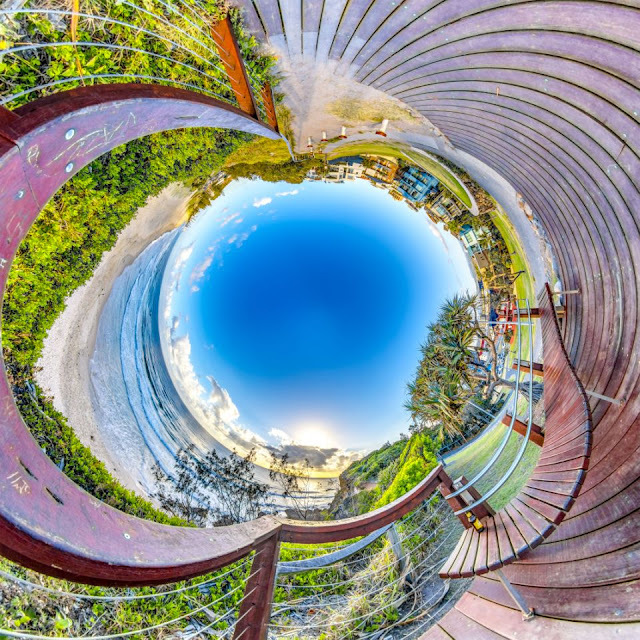 Virtual reality is all around us, and nowhere is that more true than in these immersive 360-degree photographs. The eye-opening views put a new spin on familiar landscapes by turning them into miniature worlds that encompass every angle. Gold Coast, Australia, photographer Brendon Gee, 44, has been picking up legions of online followers with his depictions of popular settings as you’ve never seen them before, but he says these are only the beginning. 0 Response to "Eye-opening 360-degree landscapes by Brendon Gee"